On the occasion of the awarding of the 2018 Ratzinger Prize, Pope Francis praised the Pope Emeritus and the "constructive dialogue with today’s culture". The prize winners are Marianne Schlosser, a Catholic theologian at the University of Vienna, and Mario Botta, a Swiss architect who built several churches. The pontiff expressed his appreciation for the contribution of women in theology and the construction of "sacred space in the city of men". Vatican City (AsiaNews) – Pope Francis this morning met with members of the Joseph Ratzinger-Benedict XVI Vatican Foundation on the occasion of the eighth Ratzinger Prize. In his address, he highlighted the need to continue to study the writings of Pope Benedict XVI and appreciate the contributions of women in theology and “Christianly inspired arts”. The winners of this year’s prize are: German Catholic theologian Marianne Schlosser, a medieval specialist of Saint Bonaventure and professor of the theology of spirituality in the Faculty of Catholic Theology at the University of Vienna since 2004; and Swiss architect Mario Botta who built many sacred buildings and various churches. Addressing an "affectionate and grateful thought to Pope Emeritus Benedict XVI", Francis said that "his is a spirit that views the problems of our time with awareness and courage, and knows how to draw, from attention to Scripture in the living tradition of the Church, the wisdom necessary for a constructive dialogue with today’s culture." As for the Ratzinger Prize going to a woman, the pontiff noted that "it is very important that the contribution of women to the scientific field of theological research and that of the teaching of theology — for so long considered almost exclusive territories of the clergy — be recognized more and more. “It is necessary that this contribution be encouraged, and that it find a wider space, in keeping with the growing presence of women in the various fields of responsibility for the life of the Church, in particular, though not only, in the cultural field." 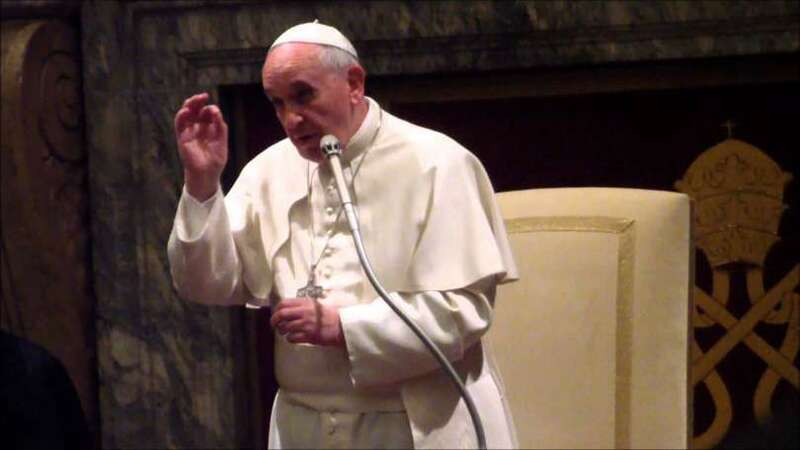 Speaking about Mario Botta, Francis stressed that "The commitment of the architect, creator of sacred space in the city of men, is therefore of highest value, and must be recognized and encouraged by the Church, especially when we risk the oblivion of the spiritual dimension and the dehumanization of urban spaces." 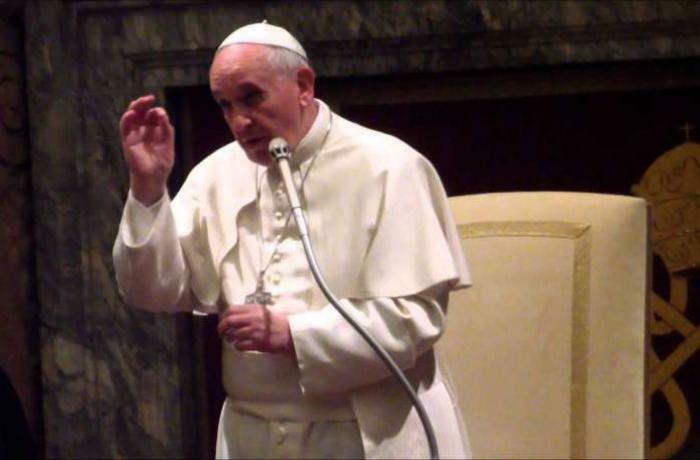 Pope: "God is not an object of human experimentation"